Undergoing chemotherapy and radiotherapy can be physically and psychologically stressful for people with cancer. Providing preparatory information to cancer patients as they face treatment and its aftermath has the potential to improve patient outcomes. 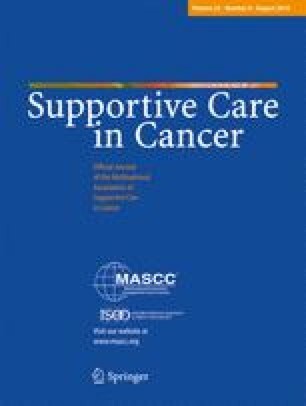 This study assessed the methodological quality and effectiveness of interventions providing preparatory information about chemotherapy and/or radiotherapy to cancer patients in improving patient outcomes and health care use. MEDLINE, EMBASE, and Cochrane databases were systematically searched from January 1995 until October 2012. Inclusion criteria: (1) met Effective Practice and Organisation of Care (EPOC) criteria for study design; (2) included adults with a current cancer diagnosis; (3) delivered preparatory information via a health care provider or was self-directed; (4) examined psychological well-being, quality of life, physical symptoms, satisfaction, knowledge, or health service utilisation. Studies were assessed for methodological quality using the EPOC criteria. Eighteen studies involving 3,443 cancer patients met inclusion criteria. Interventions included written information, audiotapes, videotapes, and computer programs. Interventions improved patient satisfaction (6/7 studies), information needs and patient knowledge (5/6 studies), physical symptoms (3/4 studies) and cost (1/1 study). More than half of the interventions improved psychological outcomes and quality of life (10/17 studies). Providing preparatory information can improve patient-reported outcomes in cancer patients undergoing chemotherapy and radiotherapy, especially with respect to satisfaction and knowledge. Some, but not all, studies improved psychological outcomes and physical symptoms. There is a need for methodologically rigorous research to determine the most effective timing and method of delivery of preparatory information to improve patient outcomes. This research was supported by a Strategic Research Partnership Grant from Cancer Council NSW to the Newcastle Cancer Control Collaborative (New-3C), and infrastructure funding from the Hunter Medical Research Institute (HMRI). Dr. Jamie Bryant is supported by an Australian Research Council Post-Doctoral Industry Fellowship. Ms. Kristy Forshaw is supported by a University of Newcastle Postgraduate Research Scholarship. The authors have declared no conflicts of interest. The authors have full control of all primary data and agree to allow the journal to review their data if requested.